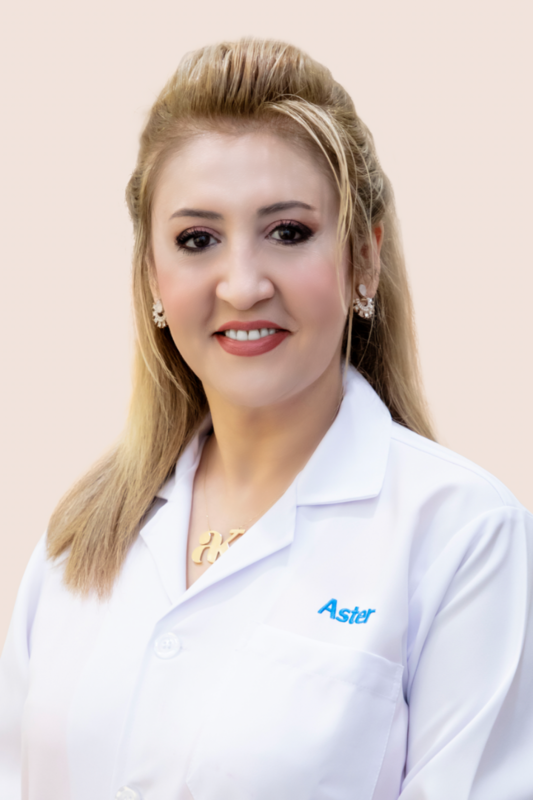 With over 22 years of extensive experience, Dr. Amany A. Morshed is a Specialist Dermatologist at Aster Clinics Arabian Ranches and Warqa Beauty Clinic. She is a multifaceted professional with a wide range of specialties; right from aesthetic procedures to the diagnosis and treatment of dermatological diseases. Being an avid learner, she has attended numerous medical conferences to broaden her skill set and stay up-to-date with best practices. Dr. Amany often says that a positive mindset towards skincare is crucial for solving challenges. Disclaimer : Doctor's timings are subject to change. For further inquiries please contact the concerned Clinic.